Outside a drugstore in the Port Authority Bus Terminal, Bernice McCann found a woman sitting among a cluster of bags. The woman’s hands had deep gashes cut by the cold New York City winter. McCann applied ointment to them, massaged them gently and bandaged the wounds. She is a grandmother, and the woman was old enough to be one too. All along they talked. McCann told the woman how beautiful she was, which is what she tells all the street people she meets on these Monday-night rounds in and around Port Authority. They smile and embrace her and tell her their news. A handful of younger friends watch and follow her, giving out their sandwiches and snacks—more timidly, mostly learning from the master, mostly transfixed by her affection. A couple of hours before heading to Port Authority, the group, which calls itself the HAB Community, gathers a few blocks away, at the office of an organization for homeless and at-risk youth. HAB’s convener is Adam Bucko, a 39-year-old Polish emigre with dreadlocks as long as he is tall tied neatly behind his head. These Monday-night meetings are a kind of testing ground for the ideas described in his recent book with Rory McEntee, The New Monasticism: An Interspiritual Manifesto for Contemplative Living. Bucko and McCann grew up Catholic. Visit New York’s Catholic Worker houses with McCann, and she can introduce you to the old-timers. 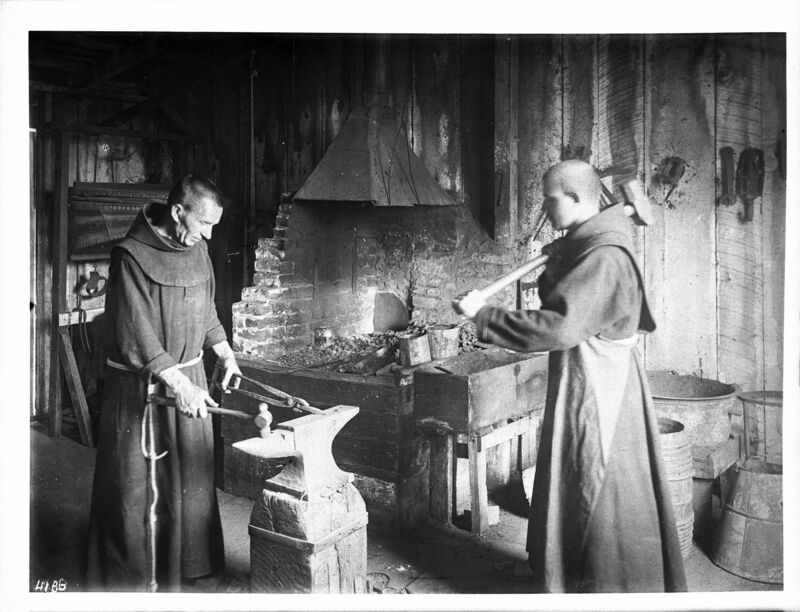 The beginnings of The New Monasticism were in meetings at St. Benedict’s Monastery, a Trappist community in Colorado, under the guidance of Thomas Keating, O.C.S.O. Yet Bucko has also been received into the Episcopal Church; he counts among his spiritual compatriots a Sufi master and eco-feminist nuns. Many of the L.G.B.T. youth he works with were driven to the streets by religion-inspired bigotry. He seeks a catholicism more universal than what the Catholic Church normally practices. At a time when religious orders are seeing few or no new postulants, when monasteries and convents are becoming nursing homes, Bucko is setting aside new space for contemplation and works of mercy in the middle of Midtown Manhattan. Experiments like this fulfill Thomas Merton’s prophecy that the monasteries of the future will be not big, medieval abbeys but small communities scattered wherever the world is in need. As they appear, they chart out different routes between the legacies behind them and the world before them. Thirty blocks uptown, Karen Gargamelli has been chipping away cracked paint in a run-down, six-story townhouse with her boyfriend, her mother, Catholic Workers, a team of Dominican Volunteers and some Jesuit scholastics. By day, Gargamelli, 33, is a lawyer who helps low-income people facing foreclosure and eviction. Now she has found a home of her own. Despite not sensing the call to vowed religious life, she confesses a calling to be a foundress. This might seem grandiose were she not both temperamentally humble and resolutely practical. For years she has been writing proposals, forming boards and meeting with diocesan officials. At last she found a priest with a building he needed to rent, a former convent with a solemn chapel and rooms that are tiny even for New York. Starting this summer, Dominican Volunteers will fill some of them; others will house lay community members and homeless guests. They will call themselves Benincasa Community, after the surname of St. Catherine of Siena, a Dominican tertiary who lived not in a convent but in her family’s home. This is the new model of a vocation to work in the church - the commitment is to the work, not to a community of vowed religious. I appreciate this distinction. It's often said that younger people nowadays are unwilling to make commitments, but I think you're right that what's actually underway is a shift in the kinds of commitments they're willing to make—less to an institution than to an ideal, less to a hierarchy than a community. The Church always always always renews from the bottom up. Let's keep our eyes looking for more of the bottomup bubbles. This is so beautiful and so encouraging. So glad to know that this is happening. I have often fantasized about a "monastic" community of sorts that lived (in a trailer park or something) on the outskirts of the prisons of our nations. The work: visiting the prisoners. Those who are outcasts, have no one, essentially banished from society. Maybe you too are called to be a foundress! Undoubtedly Catholicism is a house with many rooms. For many years the official hierarchy has tried to lock out most of these communitarian and brotherly spaces. It's great news to learn that many individuals are now taking for themselves and our disadvantaged brothers and sisters these ancient self-help traditions. The Francis phenomenon apparently is unlocking what is best in the universal church. Hopefully these initiatives will take deep roots to withstand possible reactions from the authoritarian groups lurching inside the Vatican and the official hierarchy. This article also appeared in print, under the headline "New Monasticisms," in the May 11, 2015 issue. Nathan Schneider is the author of Thank You, Anarchy and God in Proof.